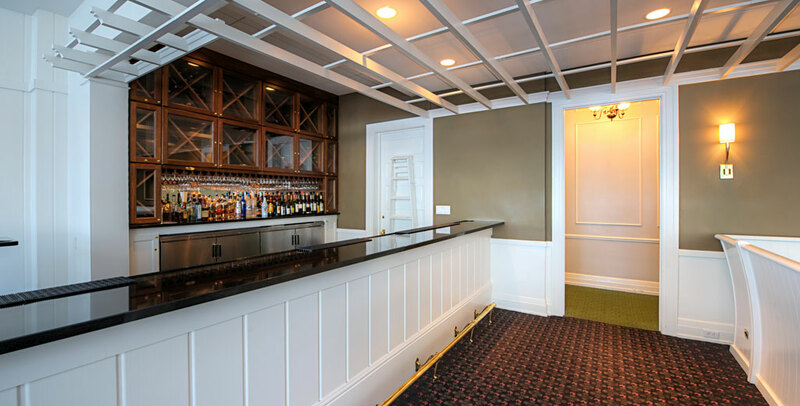 The River Room at Toledo Country Club, a historic National Register shingle style structure from 1897, has been renovated to provide much needed upgrades to the popular river side dining venue. 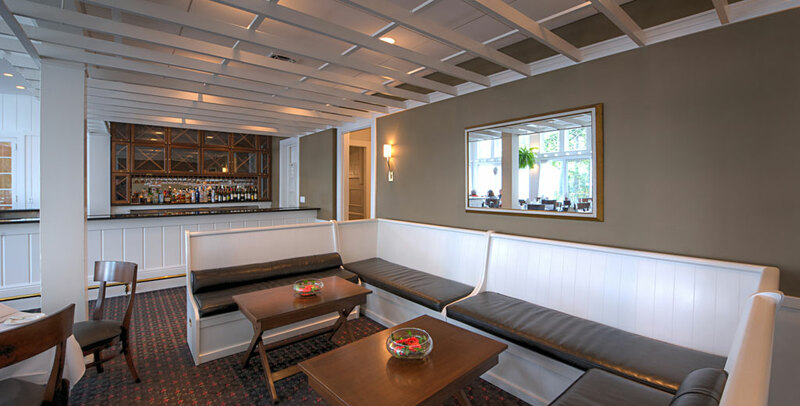 The original bar and lounge seating area overlooking the River Room has been completely reworked while architecturally designed to uplift the area and respect the atmosphere of the clubhouse building. A new front bar surround includes a larger counter area and reorganized layout to improve serving logistics for daily and event functions. New service equipment is integrated with custom wood cabinetry, select hardware, and stone countertops. Chilled wine lockers frame the focal point of the back bar which includes lower internally lit chilled refrigeration and more efficient storage. A service station closet was retrofitted into a Butler Pantry. 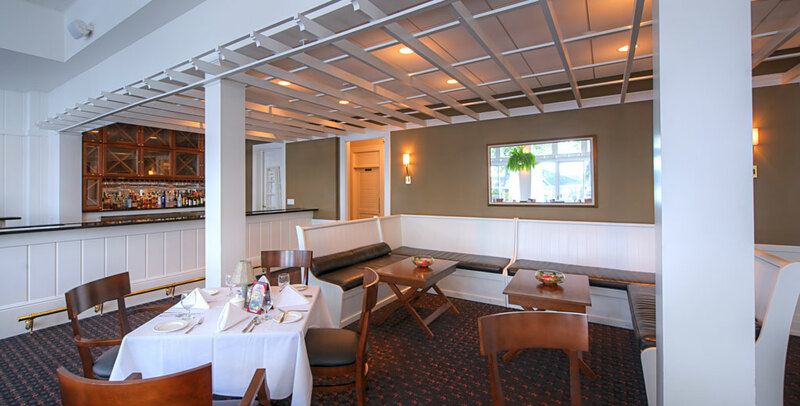 The original semi formal dining space and wood trim work has been retained and refinished, with new carpeting, lighting, and chair furnishings. 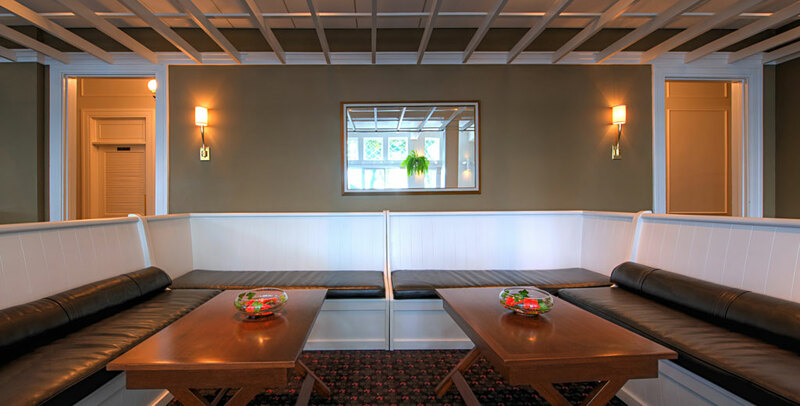 Custom movable benches and campaign tables were designed to provide a pub seating alcove that can be rearranged to accommodate club events.